Sweet: Desserts from London's Ottolenghi Yes, these are both the same book, but the first photo is the UK edition and it's the one that Yotam Ottolenghi sent me with the loveliest inscription from both him and co-author Helen Goh. 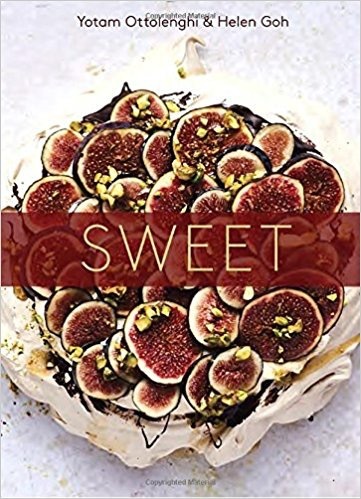 As a huge Ottolenghi fan (I sent both my brother and his wife, and my cousin Joan to his restaurant when they were visiting London--wishing it could have been me) it means so very much to me to be credited in this gorgeous book for my contribution on page 181, which is an adaptation of my "Perfect Pound Cake." Their version has both cardamom and coffee, and I'm really looking forward to trying it because cardamom is my favorite spice and coffee my favorite beverage! I'm also delighted to see that the "Lemon Poppyseed Cake" is the one Helen would take to a desert island, because that happens to be my signature cake as well. And I'm dying to try the "Take-home Chocolate Cake," on page 152, because the descriptor "the world's best chocolate cake" always calls to me. 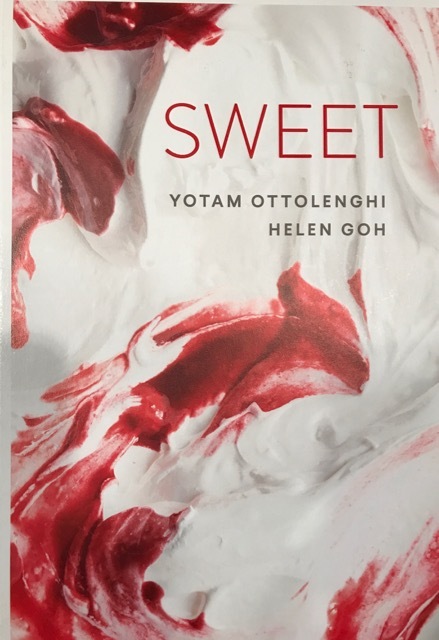 Having cooked from Yotam's savory books, it is really exciting to be in possession of his first book devoted to sweets--after all, he started off as a pastry chef! I hope some day to meet him and Helen in person and in the meantime, I cherish their book.